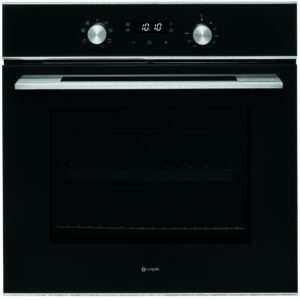 This superb 90cm wide built in electric single oven from Caple boasts a 95 litre XL capacity and an A energy rating. It can be installed under your worktop or in a tall housing unit. It has an impressive 12 cooking functions, self-cleaning catalytic liners (back and sides) and a rotisserie cooking function for the perfect cooked chicken every time. It also boasts Caple's Motion Heat+ function which allows for even cooking results and no need to preheat, which not only saves you time but energy too, therefore money. It also enables you to cook three different things without the transferring of smells and flavours. Cooking has never been made so easy! 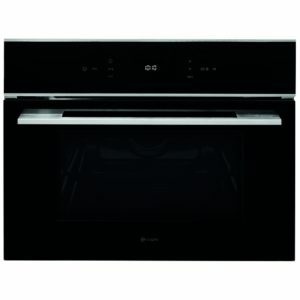 Finished in black glass this multifunction single oven is the perfect addition to any kitchen. This superb 60cm built in electric single oven from Caple boasts a 67 litre capacity and an A energy rating. It can be installed under your worktop or in a tall housing unit. This model has 9 cooking functions and self-cleaning catalytic liners (back and sides). It also boasts Caple's Motion Heat+ function which allows for even cooking results and no need to preheat, which not only saves you time but energy too, therefore money. It also enables you to cook three different things without the transferring of smells and flavours. Cooking has never been made so easy! Finished in black glass and stainless steel, this model is the perfect addition to your kitchen. 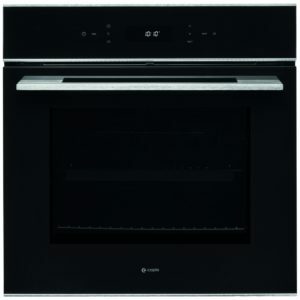 You will be able to create a whole range of fabulous dishes with this superb multifunction oven from Caple. Offering 12 cooking functions, you get the features of a whole range of ovens in the space of one, so you can cook using the options like grill, fan assisted or conventional heat, simply picking the perfect function for every dish. Motion Sense + systems evenly distribute heat through the cavity, for thorough, even cooking with no transfer of flavour between dishes. Finished in black glass with stainless steel, the C2105 looks stunning, fitting well with other appliances across the range. This superb 60cm built in electric single oven from Caple boasts a 67 litre capacity and an A energy rating. It can be installed under your worktop or in a tall housing unit. This model has rotary dial controls, so it's the perfect option if you're not the biggest fan of touch control panels. With 7 cooking functions and self-cleaning catalytic liners (back and sides) this oven is a superb choice for any kitchen. It also boasts Caple's Motion Heat+ function which allows for even cooking results and no need to preheat, which not only saves you time but energy too, therefore money. It also enables you to cook three different things without the transferring of smells and flavours. Cooking has never been made so easy! Finished in black glass and stainless steel, this oven looks fantastic teamed up with other Caple Sense appliances. The C2481SS from Caple is perfect for pizza, with Caple offering a 3 minute pizza option! There 18 cooking functions with this oven, ranging from grill to defrost to convection and much more, and if you do spill anything, the pyrolytic mode will make short work of it, burning away food residue and grease so all you need to do is wipe down any ash left over. Finished in stainless steel for a cool, modern look, it makes a stunning addition to a busy kitchen. 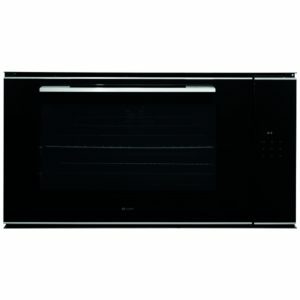 This Caple 45cm high built in combination microwave offers the ultimate versatility with its superb multifunction fan oven, grill and 1000 watt microwave. This microwave has a turntable free design, instead giving you a chrome shelf rack with 3 positions. It also boasts 10 microwave power levels and 8 auto cooking programmes. Finished in stunning gunmetal and black glass and with a range of matching ovens available it's the perfect addition to your new kitchen. 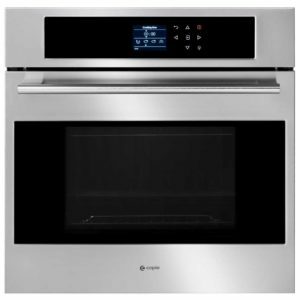 This superb built in double oven from Caple provides plenty of space and great cooking options so you can cook a great selection of delicious food. The top oven provides 40 litres of space and 4 cooking options, for when you need that extra space or just need a few items grilled or baked. The larger bottom oven has 65 litres of room, and functions including fan, conventional and base heat, which is fantastic for slow cooking food. Motion Heat + ensures even heat distribution so you get perfectly cooked meals and there's even a handy Boost option to quickly heat up the cavity! Finished in black glass with stainless steel trim, touch controls add to the sleek look, perfect for installation in your kitchen's tall housing unit. 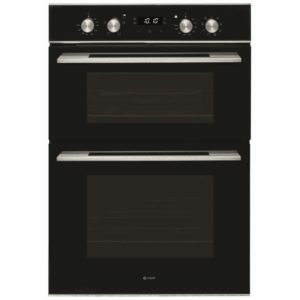 This superb 60cm built in electric pyrolytic single oven from Caple boasts a 67 litre capacity and an A energy rating. It can be installed under your worktop or in a tall housing unit. With a quadruple glazed door and pyrolytic cleaning, this oven is the perfect option if you want scrubbing your oven to be a thing of the past. This oven has 11 cooking functions and boasts Caple's Motion Heat+ function which allows for even cooking results and no need to preheat, which not only saves you time but energy too, therefore money. It also enables you to cook three different things without the transferring of smells and flavours. Cooking has never been made so easy! Finished in gunmetal and black glass this oven is the perfect addition to any and every kitchen. You will be able to create a whole range of fabulous dishes with this superb multifunction oven from Caple. Offering 12 cooking functions, you get the features of a whole range of ovens in the space of one, so you can cook using the options like grill, fan assisted or conventional heat, simply picking the perfect function for every dish. MotionHeat+ systems evenly distribute heat through the cavity, for thorough, even cooking with no transfer of flavour between dishes. 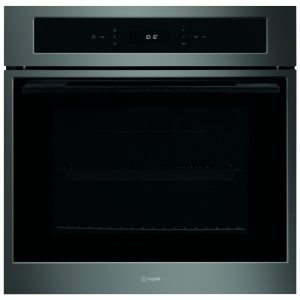 Finished in gunmetal and black glass, the C2105GM looks stunning, fitting well with other appliances across the range. 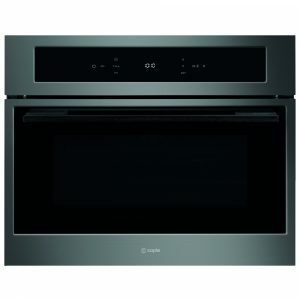 This superb 60cm built in electric pyrolytic single oven from Caple boasts a 67 litre capacity and an A energy rating. It can be installed under your worktop or in a tall housing unit. With a quadruple glazed door and pyrolytic self-cleaning, this oven is the perfect option if you want scrubbing your oven to be a thing of the past. This oven has 11 cooking functions and boasts Caple's Motion Heat+ function which allows for even cooking results and no need to preheat, which not only saves you time but energy too, therefore money. It also enables you to cook three different things without the transferring of smells and flavours. Cooking has never been made so easy! Finished in black glass and stainless steel this oven is the perfect addition to any and every kitchen.